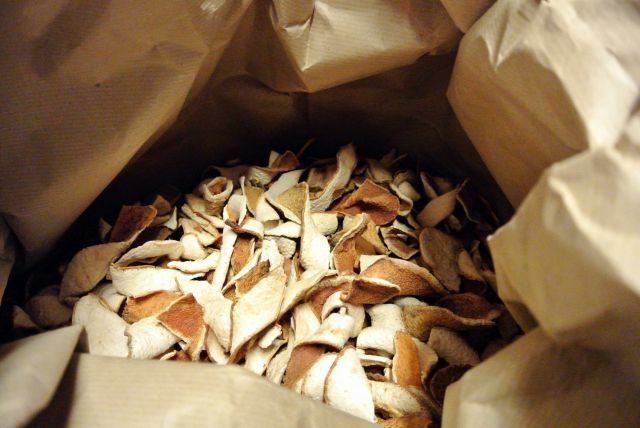 JSC Latvijas balzams in 2014 procured and used 94 tons of various natural and plant-origin raw materials (not counting grain spirit, wine ingredients and sugar), which is almost 25% more than in 2013. The largest volumes were natural juice concentrates from black currant, apples, peaches, grapes, strawberries and raspberries – a total of 62 tons. Supporting local producers, Latvijas balzams last year bought 9 tons of dried blueberries, 3 tons of dried apples, and 1.3 tons of honey. Caraway seeds, St. John’s Wort and other natural raw materials are procured from Latvian producers. Some exotic ingredients, such as gentian root, angelica, star anise, ginger root, and Muscat nuts are supplied from Cameroon, Indonesia, India and other countries. Extracts of natural ingredients are used in more than twenty beverage recipes that are currently produced by the company. These include the well-known Riga Black Balsam® line beverages, the coffee liqueur Moka®, and the Black Balsam® series of cocktails, brandies, and strong alcoholic drinks such as Ingver rūgtais® (Ginger Bitter) and Piparu rūgtais® (Pepper Bitter), as well as a series of flavored vodkas and sparkling beverages where natural juice concentrates are used.